What's round, orange and weighs 1,725 lbs? 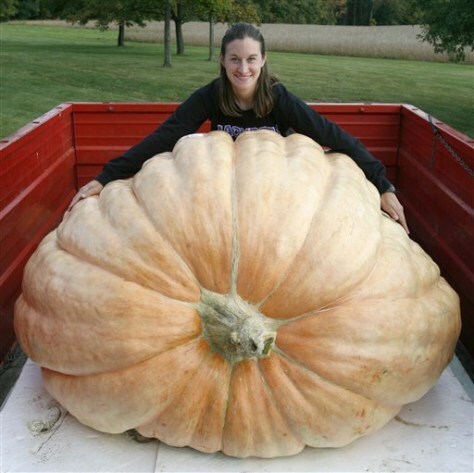 Christy Harp shows off her huge pumpkin in Jackson Township, Ohio. The entry topped the 1,689-pound record-holder grown in 2007 by a Rhode Island man.